The amount of work that goes into your wedding can be overwhelming. 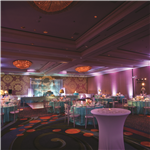 Browse our list of top wedding planners in Las Vegas to make your big day less stressful! Today's brides are working and trying to plan a wedding simultaneously. 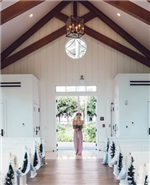 This can often be overwhelming, even a DIY bride will find herself in a place where she needs help whether for just the “day of” or throughout the whole planning process. Choosing to get help does not mean letting control of your wedding as a professional coordinator will be willing to make your ideas happen! Contact the wedding professionals linked here to set up an initial face-to-face appointment to review your dreams, ideas, and assist you in creating a starting budget. Hawaiian Style Wedding Planners- Dreaming of your wedding in Paradise? Ditch your Passport and celebrate your love where elegance meets the exotic, in the home of Aloha~! 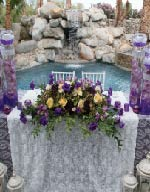 Wedding Factories is among the country’s leading event design, planning, and production houses, specializes for uniquely creative concepts and flawless attention to detail. At the cutting edge of the latest trends in decor and entertainment, we provide full service that includes planning, coordination and design services, photography and cinematography, conceptual invitation and letterpress printing, floral sculpture, lighting and EFX design, Mirror Me photo and video booth. We provide our clients an experience to work closely with us to define their unique vision, from creating detailed design plans and storyboards that provide a clear visual representation, to the selection and procurement of all design components for review. We strive to challenge ourselves to push boundaries through creative solutions and making sure all details remain in cohesive harmony throughout the project to produce our clients’ beautiful and romantic wedding day magic. Marriage is hard, weddings are not.